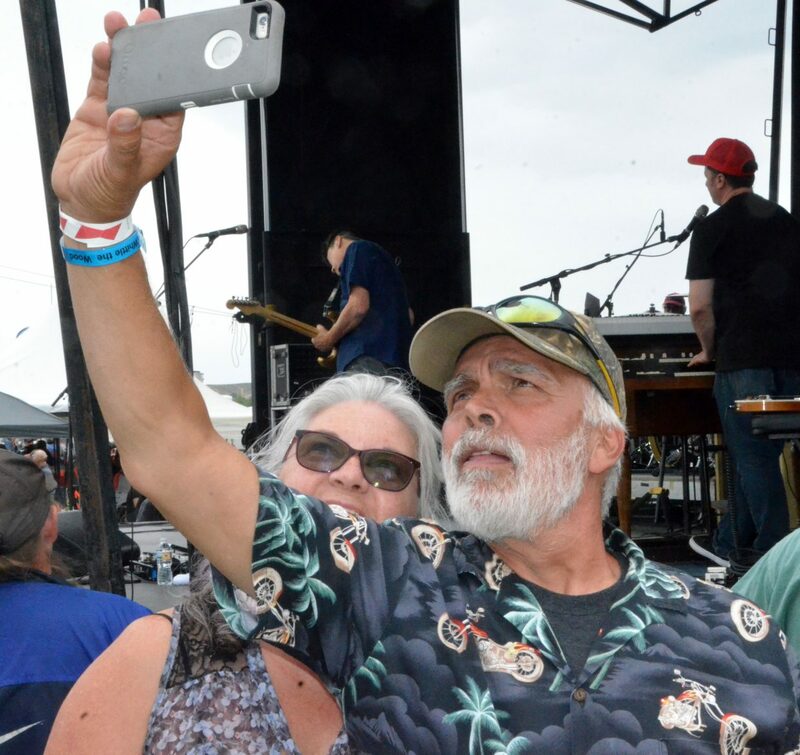 Rifle's Dino and Carmen Baldizan snap a selfie by the stage Saturday as Big Head Todd and the Monsters perform at the 19th annual Whittle the Wood Rendezvous. 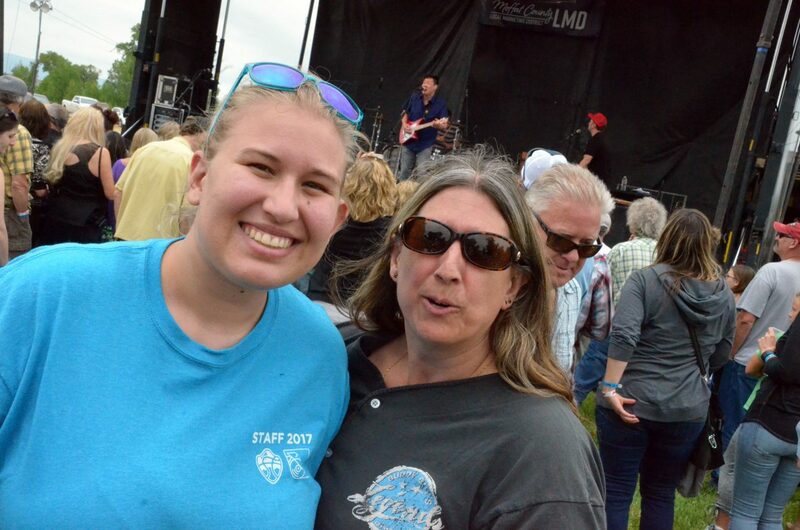 Savannah Halvorson, left, and Kari Killberg enjoy the music Saturday as Big Head Todd and the Monsters perform at the 19th annual Whittle the Wood Rendezvous. Todd Park Mohr wails on his guitar Saturday during a performance by Big Head Todd and the Monsters performs at the 19th annual Whittle the Wood Rendezvous. 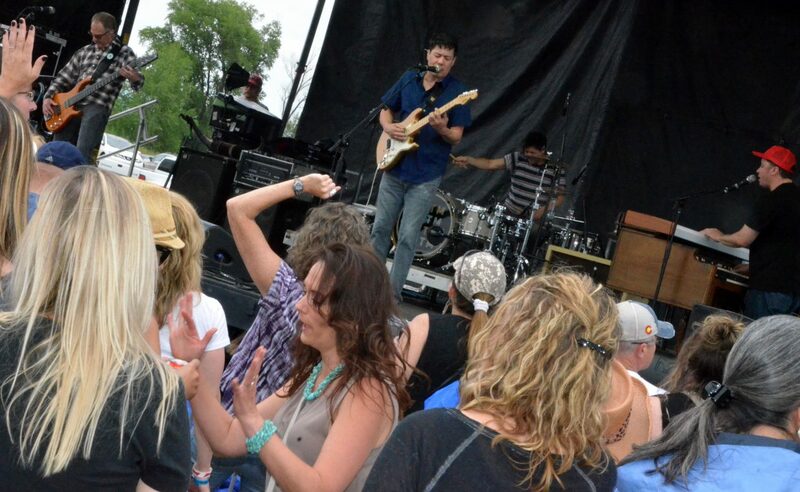 Crowd members stay energetic as Big Head Todd and the Monsters perform at the 19th annual Whittle the Wood Rendezvous. 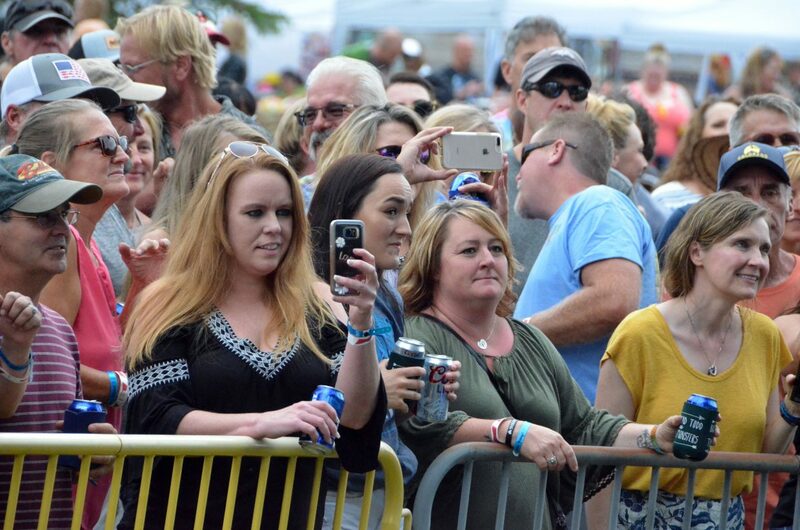 Spectators gather for photos Saturday as Big Head Todd and the Monsters performs at the 19th annual Whittle the Wood Rendezvous. 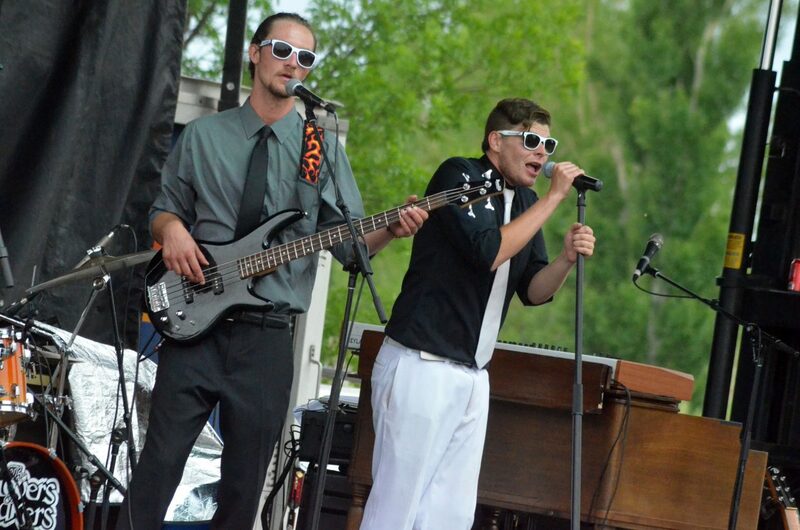 The Movers & Shakers perform Sam & Dave's "Soul Man" Saturday at the 19th annual Whittle the Wood Rendezvous. 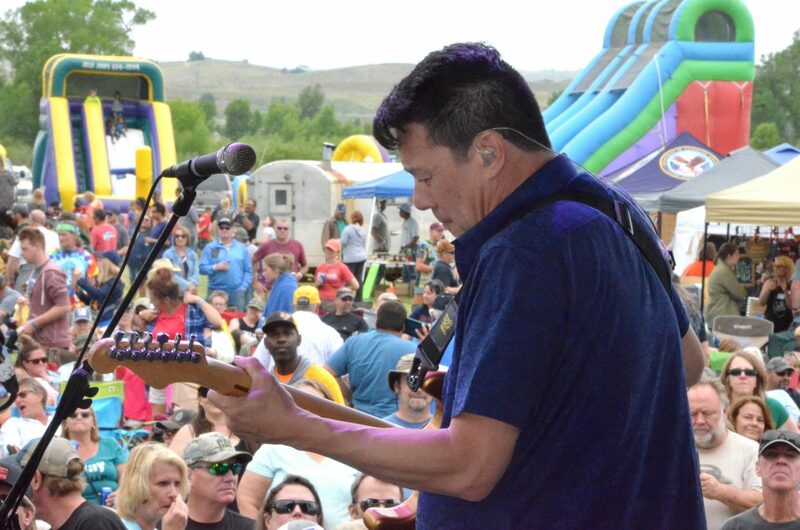 Todd Park Mohr of Big Head Todd and the Monsters focuses on his guitar work as spectators view the final concert Saturday at the 19th annual Whittle the Wood Rendezvous. 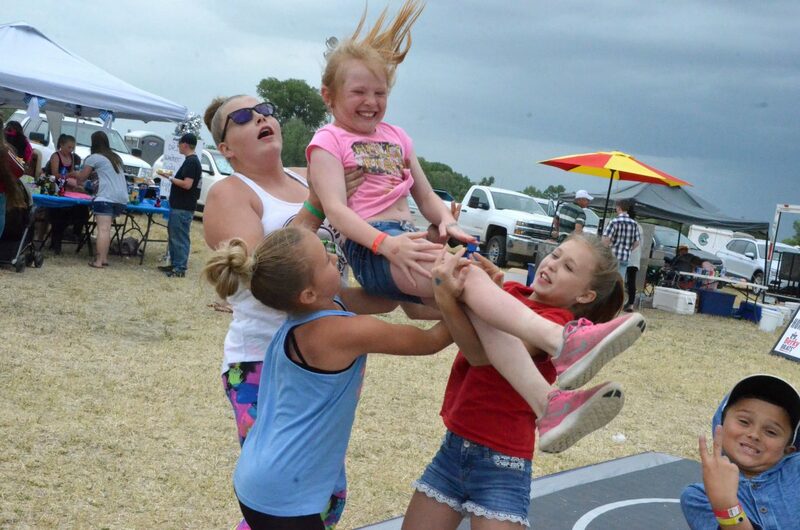 Members of Moffat County Elite Cheer perform a basket toss while taking a break from duty at the team's food booth Saturday during the 19th annual Whittle the Wood Rendezvous. 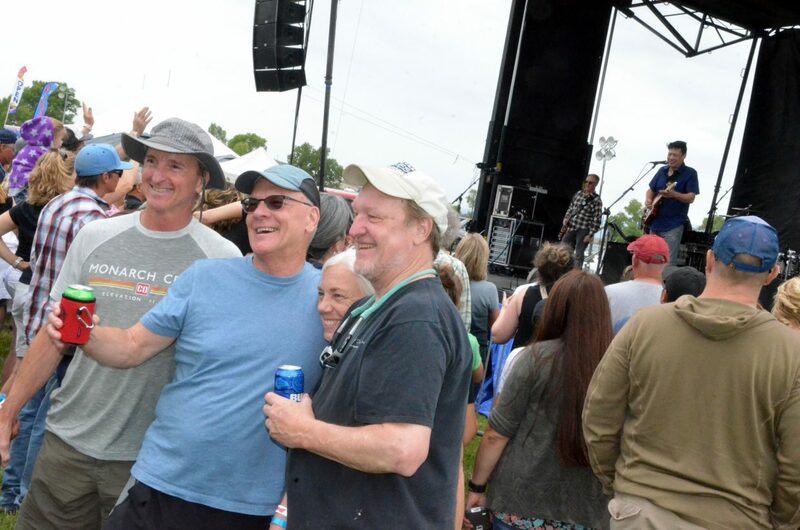 Crowd members stick close to the stage Saturday as Big Head Todd and the Monsters performs at the 19th annual Whittle the Wood Rendezvous. 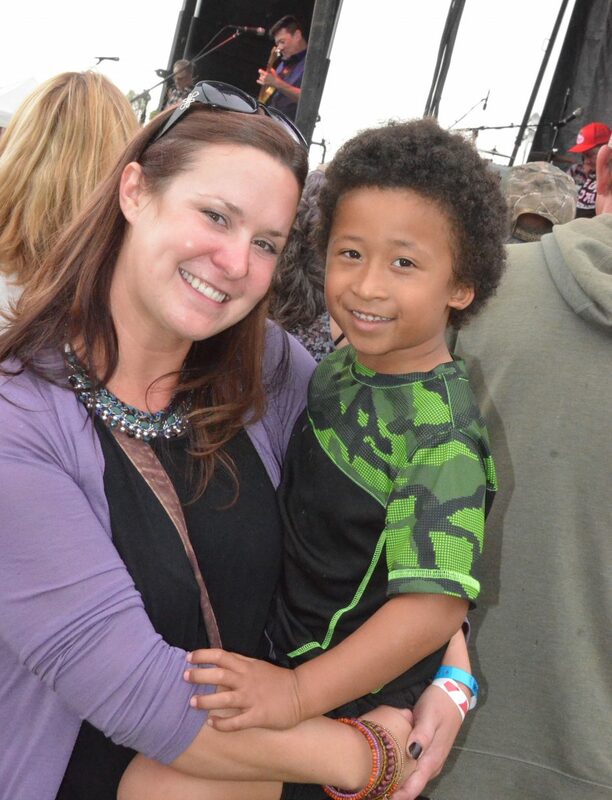 Peyton Pogline and nephew Jordan Woods smile near the front of the stage Saturday as Big Head Todd and the Monsters perform at the 19th annual Whittle the Wood Rendezvous. Spectators stake out their seats to await the final concert at the 19th annual Whittle the Wood Rendezvous. The level of excitement Saturday at Loudy-Simpson Park might have given some musicians a big head. Luckily, that was a moot point with the headliner in question. 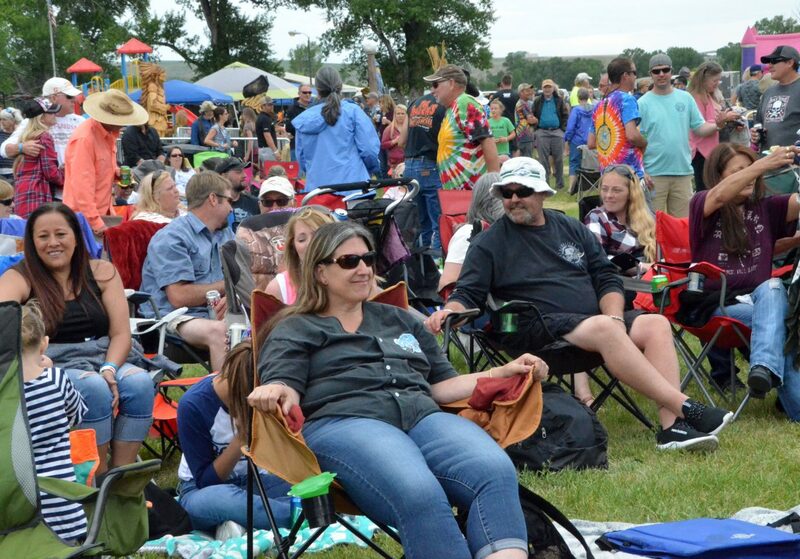 Crowds came out by the thousands for the final concert of the 19th annual Whittle the Wood Rendezvous, the conclusion to the yearly celebration of woodcarving, live music and more that makes up Craig’s biggest event of the summer. 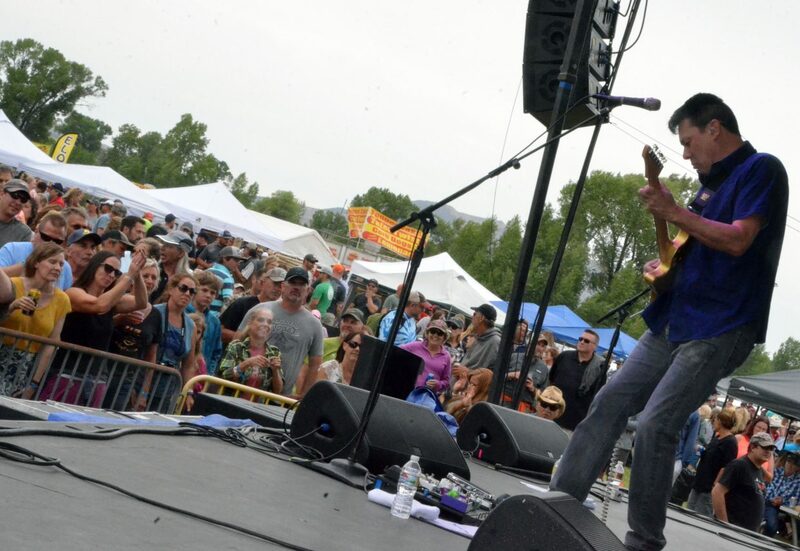 Headlining group Big Head Todd and the Monsters attracted spectators from the local level and beyond. 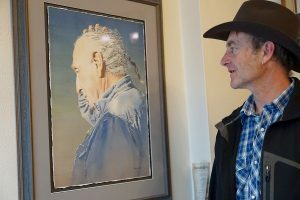 Denver’s Laura Peck traveled to Craig to catch the show by the Colorado native band, taking in the sights of the one-of-a-kind wooden works before performers hit the stage. The Movers & Shakers, also from the Front Range, brought their brass-heavy sound to the park earlier in the afternoon, fresh off a Friday night set at JW Snack’s as part of the restaurant’s Summer Concert Series. A sizable crowd for the openers only got larger once the final set began. Big Head Todd — the stage name for frontman Todd Park Mohr — and crew have origins dating back to the Colorado music scene since the 1980s, boasting a wide repertoire with hits and live favorites such as “Bittersweet,” “Resignation Superman,” “Circle” and “Please Don’t Tell,” also working in some covers. The group released the album “New World Arisin'” in 2017 and the weekend before took the stage at Red Rocks Amphitheatre. Rifle’s Dino Baldizan and his wife Carmen were among those who spent most of the show right at the edge of the stage. 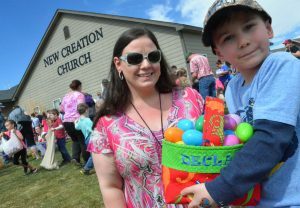 Craig Parks and Recreation director Dave Pike said the energy of the day was one of the best in recent years for Whittle the Wood. “Every year I’m nervous all day Saturday until things get going and the band starts playing I start feeling pretty good,” he said. 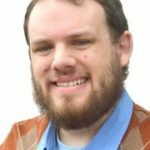 Early numbers regarding turnout for the final day indicated a spike in attendance, between 3,000 and 3,500 for Saturday compared to about 2,000 people in 2017. 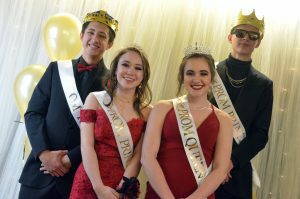 Total admissions brought in $19,700, while advance ticket sales in particular saw a boost — more than 1,900 were sold leading up to the show compared to 200 last year. City Councilor Andrea Camp said she was impressed with the crowd size as she walked through row after row of spectators to get to her seat. 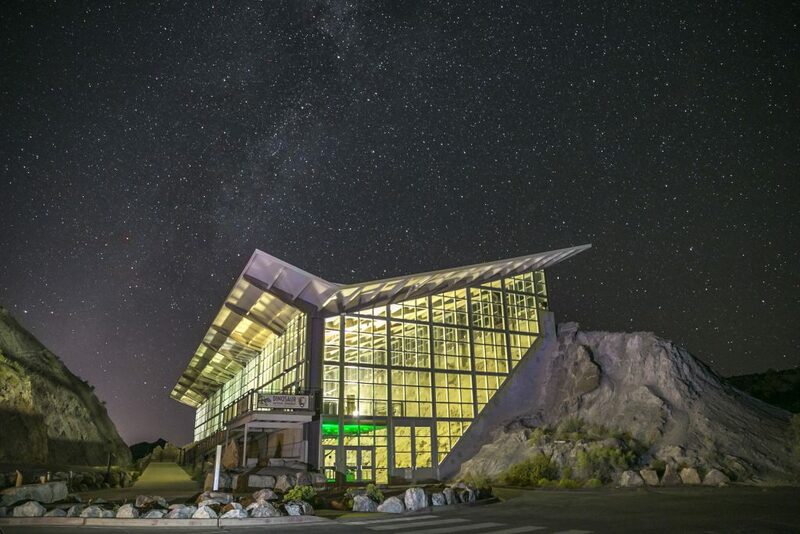 With the event in its third year charging admission for the final day — after being completely free for its first 16 years — Camp said the issue of funding has been prevalent, though ensuring people get bang for their buck is key. 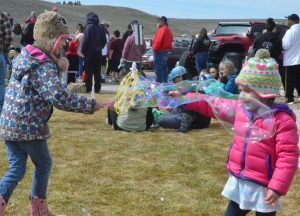 Among the big changes this year was securing $10,000 in funds from Moffat County Local Marketing District. Even a burst of wet weather couldn’t dampen the day. Despite some sprinkles of rain in the afternoon after threatening to pour all afternoon, the precipitation was hardly a deterrent. As he segued between songs, Big Head Todd hinted to the crowd he’d be up for a return trip to Craig. “Y’all are gonna have to put some pressure on the management to have us back,” he said.